NOAH® barrier fabric actually stops water, yet it "breathes" to allow any trapped moisture or condensation to easily evaporate. 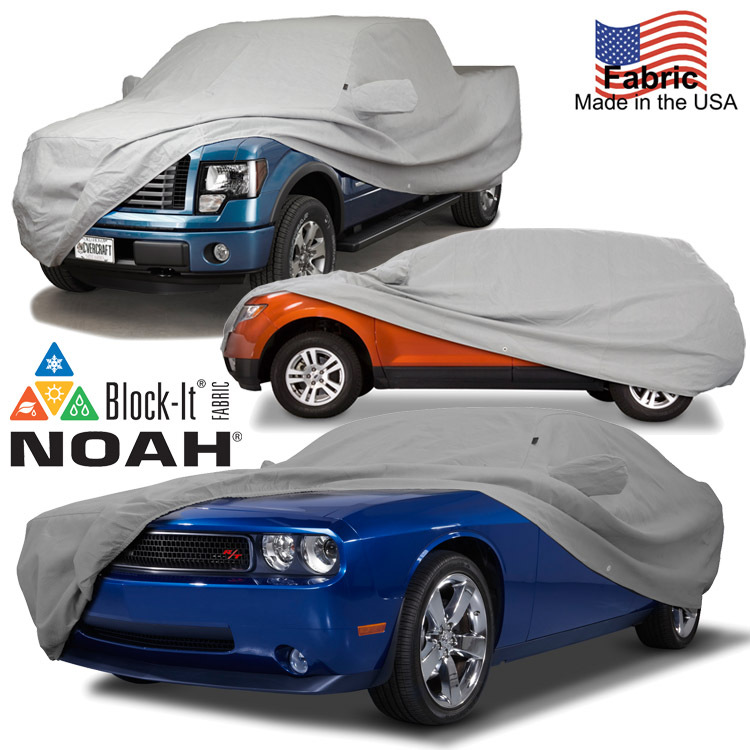 The unique, patent-pending construction process results in a cover with maximum all-weather protection. Highly water resistant, dust resistant, UV resistant and breathable to help make sure moisture and heat don’t stay under the cover. Made in the U.S. by Kimberly-Clark, the fabric weighs only 4.75 ounces per square yard, so it’s easy to handle and fold. Soft, Paint-Protecting Inner Layer – A single, heavier layer of bi-component spunbond, utilizing side-by-side spinning technology. This heavier, single layer (as compared to a single outer layer) provides the "soft touch" necessary for today’s water-based paint finishes.